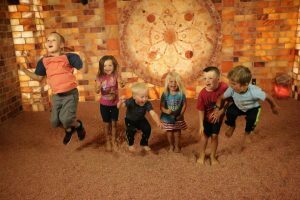 The Centered Stone’s women and children’s chiropractic specialist Dr. Bre, is hosting a FREE mom’s and tot’s social support group in the SALT CAVE, every Friday morning. This group is for moms at any stage of motherhood (including moms with hopes of motherhood in the future) to have an open and free dialog about personal mom-successes and even mom-fails throughout your motherhood journey. Everyone is welcome in we would love to have you join us! Friday mornings from 9:30-10:30, you can bring your children, so no need to find a sitter. You will be held in a space of support with like minded moms who want and seek connection, support, ideas, and peace. P.S. Did we mention it’s free?!! Enjoy a meditative evening of crystal sound and light, in the Himalayan Crystal Salt Cave at The Centered Stone. We gladly welcome back the delightful musical talent, Xistential, who will be guiding us all on this interactive meditative, bright musical journey, using illuminated sound bowls and other percussive instruments. Seating is limited, so please reserve your spot by calling 801.692.1750, or by following this link. You will have the pleasure of sitting right on the sand-like salt floor. Please, bring a blanket to sit on. Find healing, inspiration, and strength as you immerse yourself in this sound therapy experience. 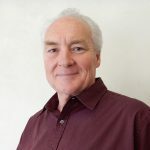 To assist in your healing experience of relieving your body of accumulated stress, sound therapist Tarek Weber, of West Wind Sound Sessions, works music and vibration together in harmony down to the cellular level. The stress hormone, cortisol, is neutralized while feel good hormones such as serotonin are released. It is a transformational experience primarily affecting the consciousness, emotions and mind. Through that and the vibration, profound effects can be had for the body. Sound Healing encourages you to journey through your physical body and inner world; to the realms too often ignored. 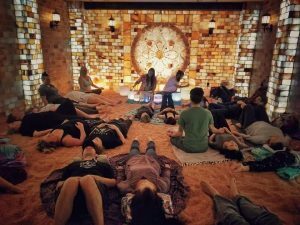 A session focuses on creating a sacred space that allows you to enter a deep relaxation state, where your body and mind can heal themselves on a physical, emotional, mental, and spiritual level. This is not a typical sensation of relaxation–it is much deeper than that; something typically only available to those dedicated to meditation, such as Tibetan monks. A typical session can target specific areas that you feel you need to work on, or typically we leave it open to intuition. 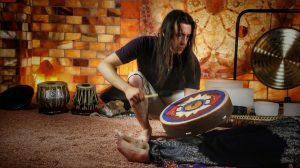 In this sound bath, instruments from all over the world work in harmony to transform your stress! These include crystal singing bowls, Tibetan bowls, didgeridoos, a gong, drums, flutes, bells, a handpan and more. Space is limited. Reserve your spot by calling 801.692.1750 or click here to book online. ***BUY MORE AND SAVE***with our Special Event Packages which may be used toward this or any event (and may be shared).